I’ve been in love with Sally Lunn dough for a while now. 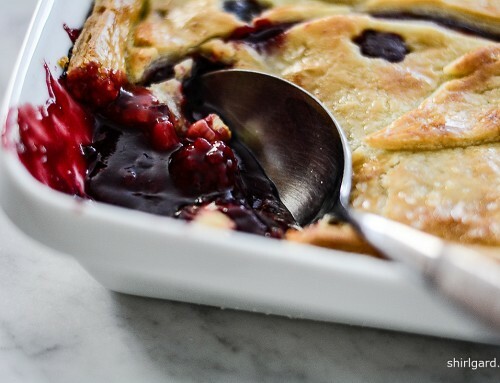 Although it is a brioche-like yeast dough, it is a little easier to make because the butter in this recipe is melted and added to the liquids instead of being thrown into the mixer in chunks at the end of mixing like a classic brioche. You can read more about Sally Lunn, the dough and the story behind it, in my earlier post: Sally Lunn Buns (2.01.16). 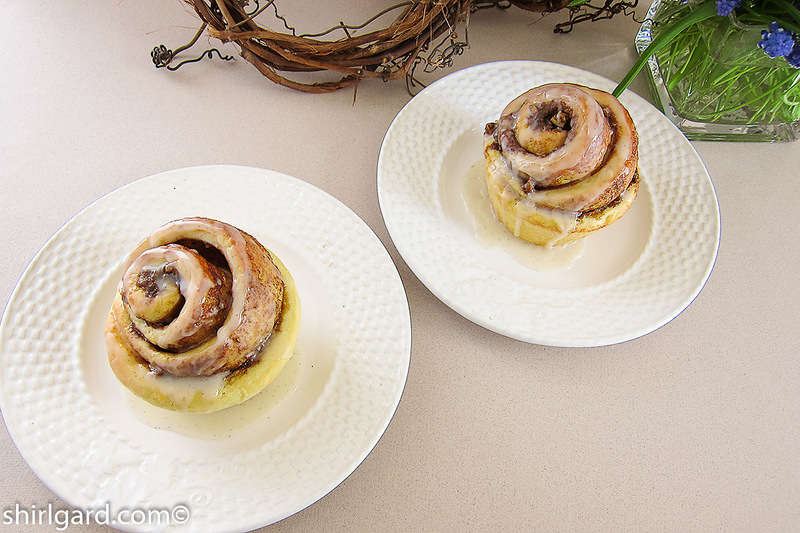 This is a slightly different version than the recipe in that post, (I like and use them both) and it seemed like the perfect dough to use for a batch of cinnamon buns. 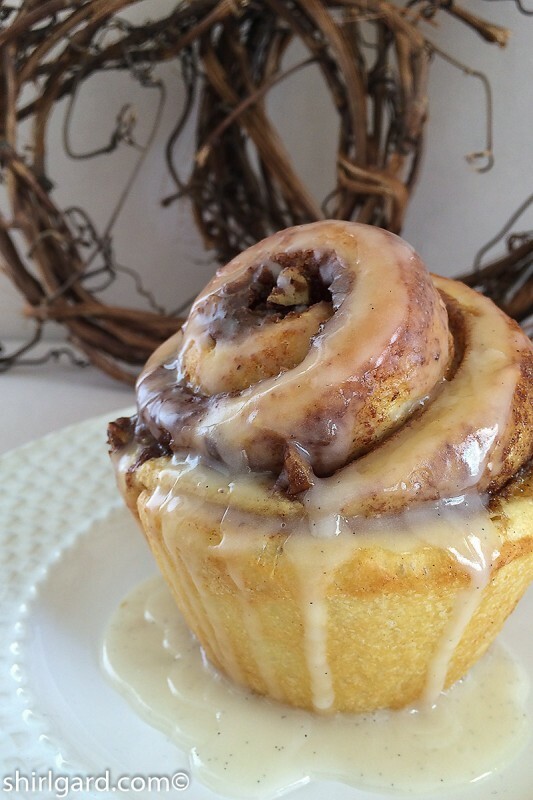 This recipe is a combination of two of my favorite things: Sally Lunn and cinnamon. My favorite cinnamon comes from Penzeys Spices, which I have been using for quite a few years now, both professionally and at home. (Note: I receive no compensation from Penzeys; I just happen to love their cinnamon for the flavor it adds to all of my baked goods.) I use all of their different varieties: China cinnamon, Vietnamese cinnamon, Korintje cinnamon and Ceylon cinnamon, as well as their “hand-mixed” blend of all four−called simply Penzeys Cinnamon. The names of these varieties says it all when the question is asked: where does cinnamon come from? For a tutorial on the origins of cinnamon and a primer on how to use them, I always turn to my Penzeys catalog, which is a great source for cinnamon information. Here’s a summary. −Native to Southeast Asia, especially southern China and northern Vietnam, but also Indonesia. “Strong, sweet-spicy flavor”. Comes from southern China. Penzeys recommends this variety for “everything from cinnamon rolls to apple pie, Christmas cookies to French toast”. This variety is the “strongest, richest, and sweetest cinnamon around…….The strength of the flavor of spices depends upon the essential oil content−the higher the level, the stronger the flavor.” It comes from the “remote north and west regions of Vietnam.” Penzeys recommends it for traditional recipes such as cinnamon rolls. 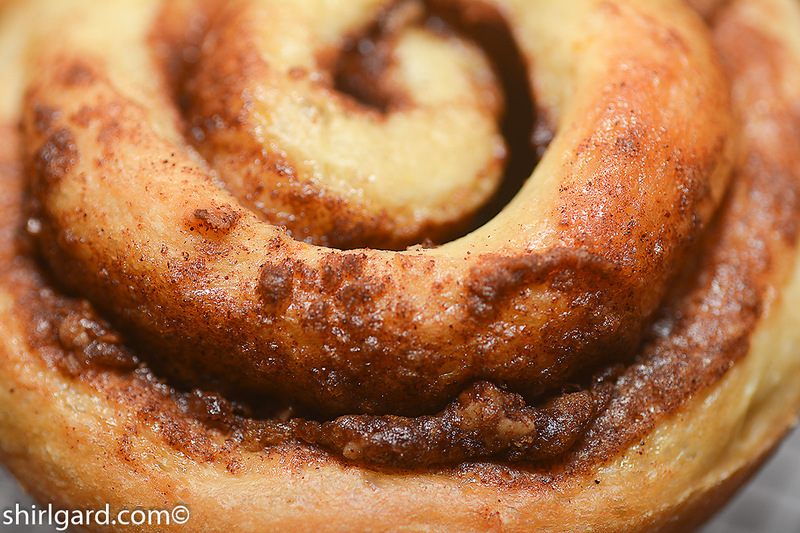 This is one of my favorites and I use it for a lot more than cinnamon rolls; when I want a particularly strong cinnamon flavor, I reach for the Vietnamese. A smooth flavor with less “bite” than China or Vietnamese. Comes from the southwest cost of Sumatra in Indonesia. “It grows wild on the government-protected slopes of Mount Kerinci, where the cinnamon gets its name.” This is the variety usually found at the supermarket. This is how to “have your cake and eat it too”: a blend of all three of the above varieties + the Ceylon below. If you can have only one, this is it. I like it for making cinnamon sugar and I always use the proportions from my Snickerdoodle recipe: 50g sugar (¼ cup) + 10g (about 4 teaspoons cinnamon. 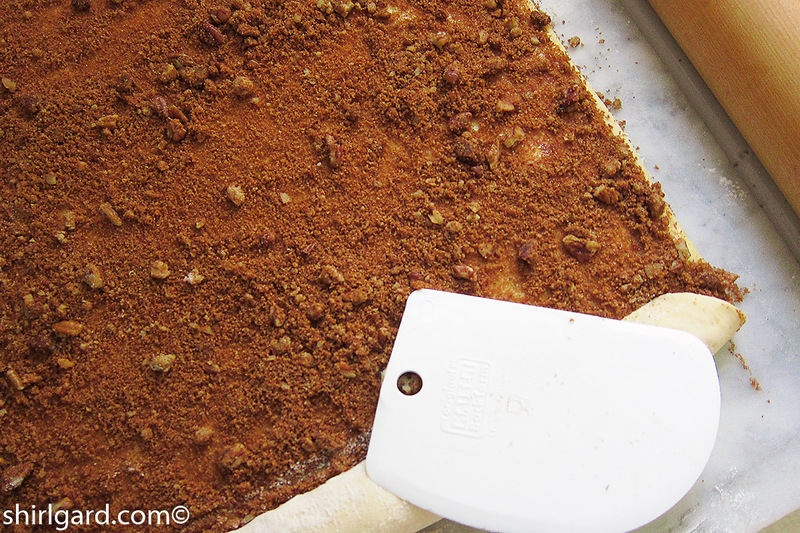 I like it strong, but if this seems too strong, cut the cinnamon to 1 tablespoon (6g). This is also the variety I chose to put in these Sally Lunn Cinnamon Buns, but any variety would be delicious. This is the variety most commonly used in “English and Mexican sweets”. It has a different, more complex flavor from Cassia cinnamon. It also lacks the “bite” of Cassia cinnamon and is less sweet, with a hint of citrus. 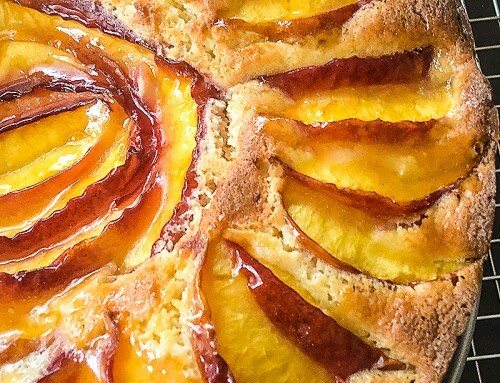 Penzeys recommends it for baking with fruit, especially apple pie. Cold dough from the refrigerator. 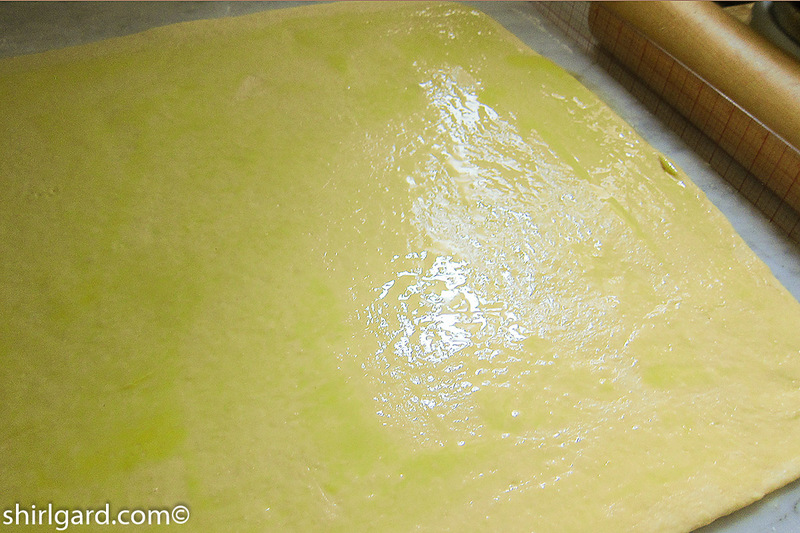 Shape dough into 8″ x 8″ (20 cm x 20 cm) square, about 1″ (2.5 cm) thick on floured surface. 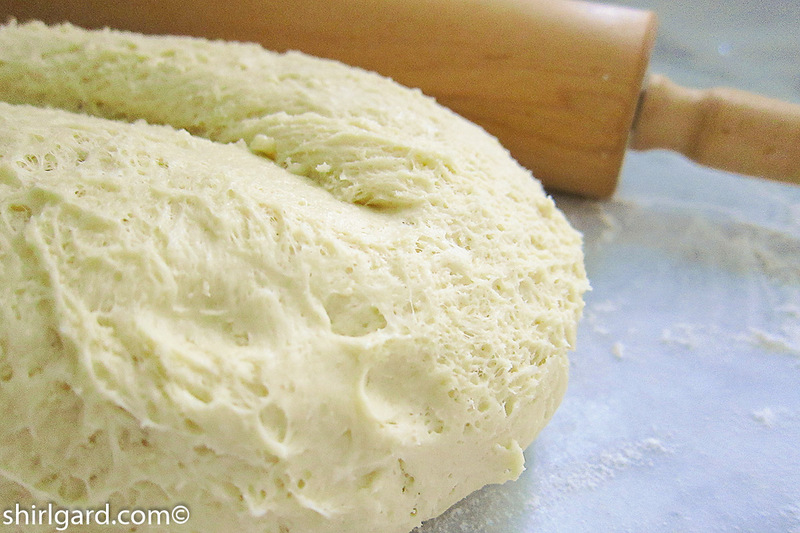 Brushing excess flour from the dough. 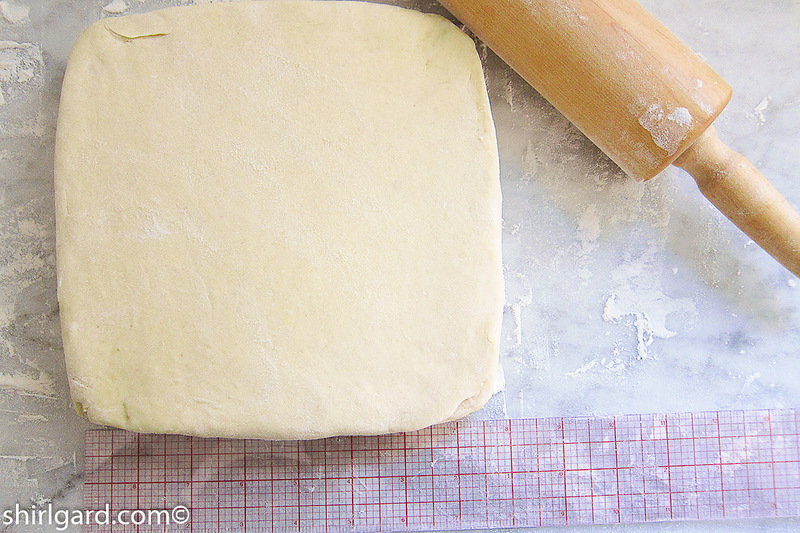 Roll the dough into a square: 18″ x 18″ (45 cm x 45 cm). Work quickly to keep dough cold. 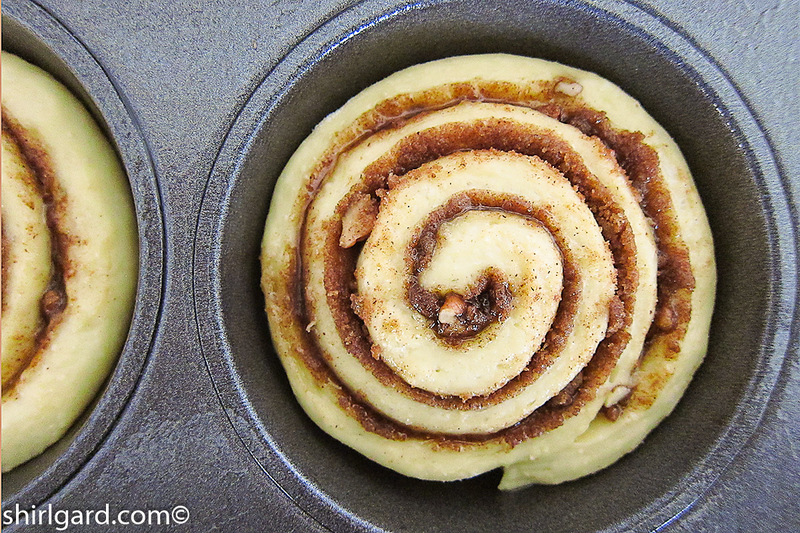 Scatter the Cinnamon Bun Filling in little piles to make it easier to spread. 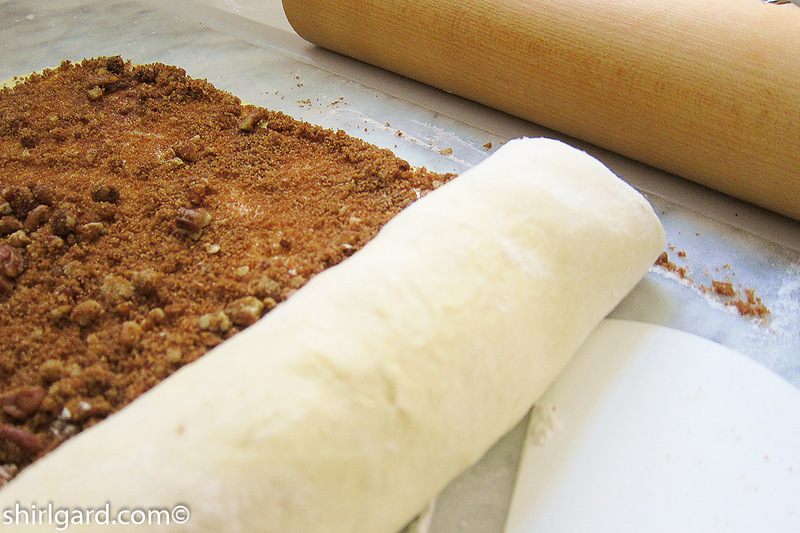 Spread filling evenly over the dough, leaving a half-inch at the top edge with no filling. Roll up, rolling away from you. 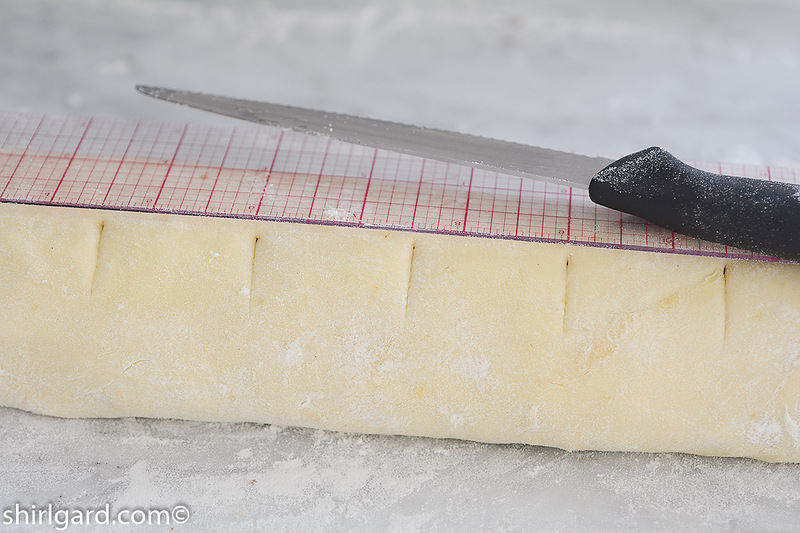 Marking the roll with a C-Thru ruler: 1 1/2″ (3.75 cm) portions. Marked and ready to cut, using a serrated bread knife. 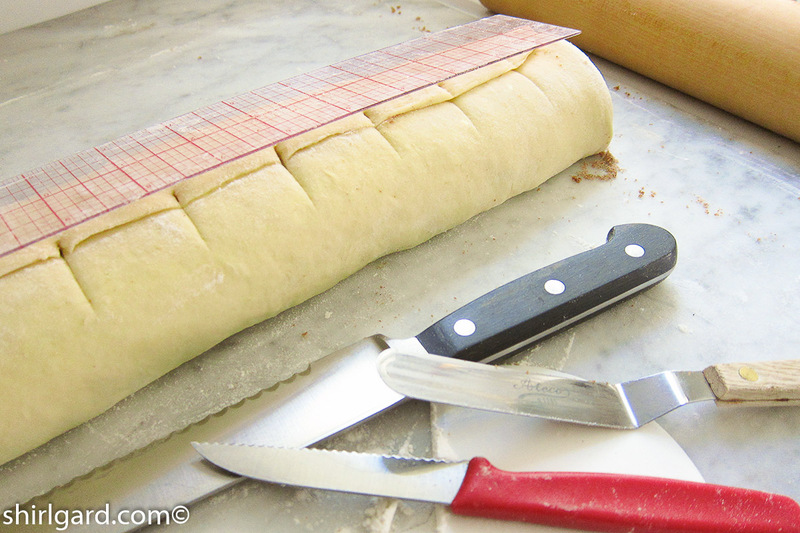 Cut with serrated bread knife, sawing gently so as not to crush the roll. 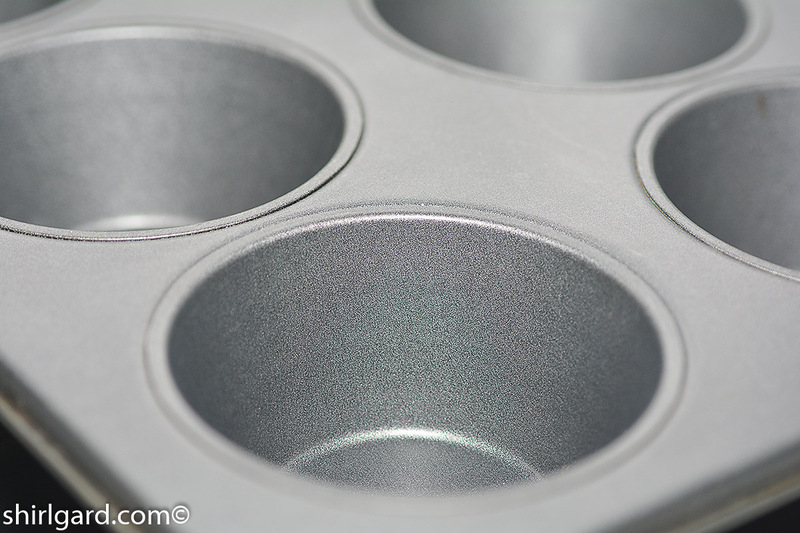 Fit buns neatly into the giant muffin pans. 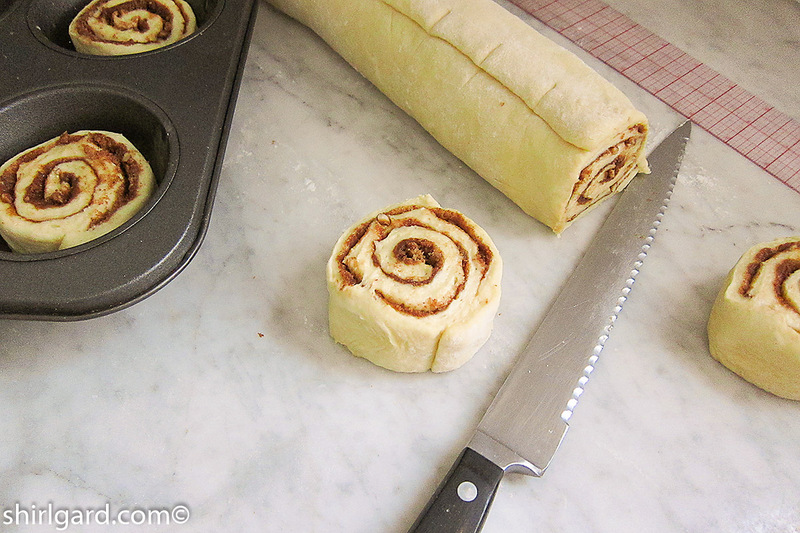 Sally Lunn Cinnamon Buns: ready to let rise (proof) to just above top of pan. 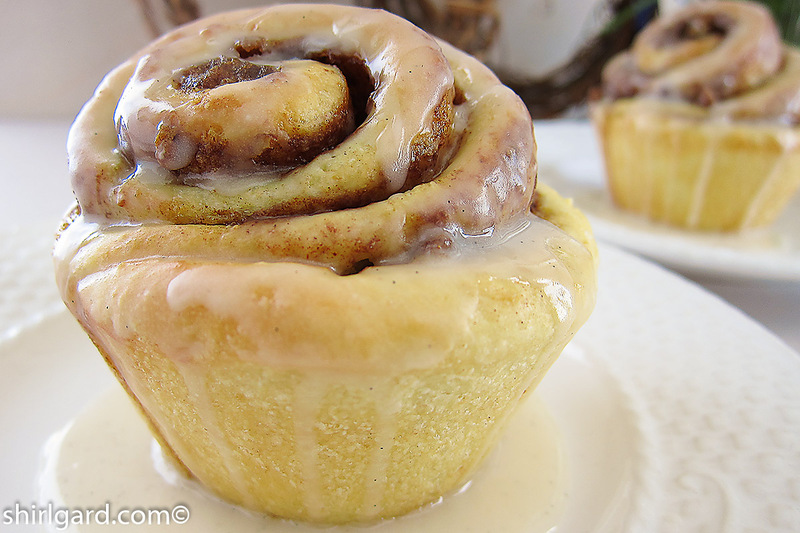 Sally Lunn Cinnamon Buns: Sometimes, I like to let cool on top of the muffin pans. 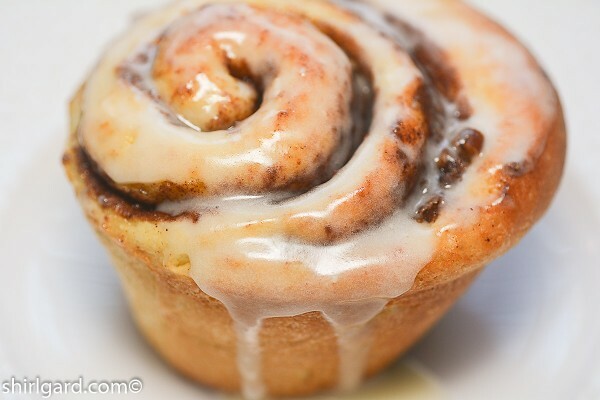 Cinnamon Rolls, Cinnamon Buns, Cinnabon® rolls: give me anything that includes a piece of dough rolled around a filling with lots of cinnamon and baked, then topped off with a thin film of icing. That's just what this recipe delivers. Using Sally Lunn Basic Dough, (see separate recipe) a very versatile brioche-like dough, makes these extra special. 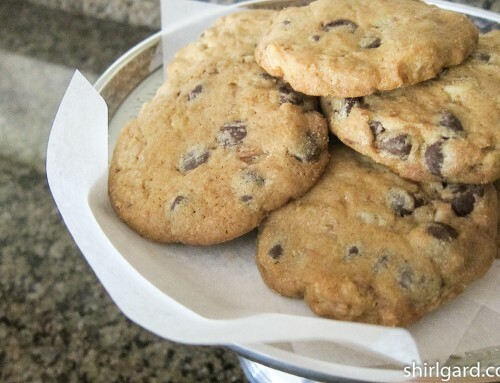 Plan ahead because the dough for these needs to be made the day before and refrigerated overnight. 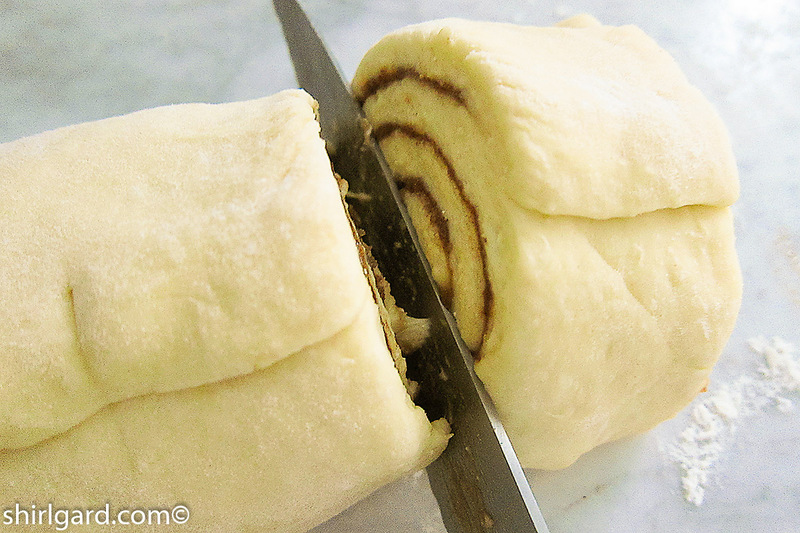 It is important to have cold dough to work with when rolling out the dough, filling, and cutting the buns. 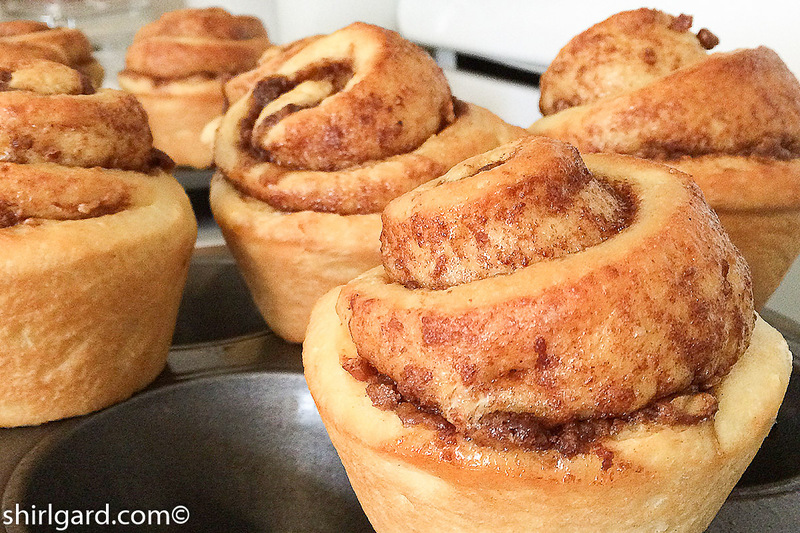 I like these Cinnamon Buns so much that I usually make two batches of the dough at one time. 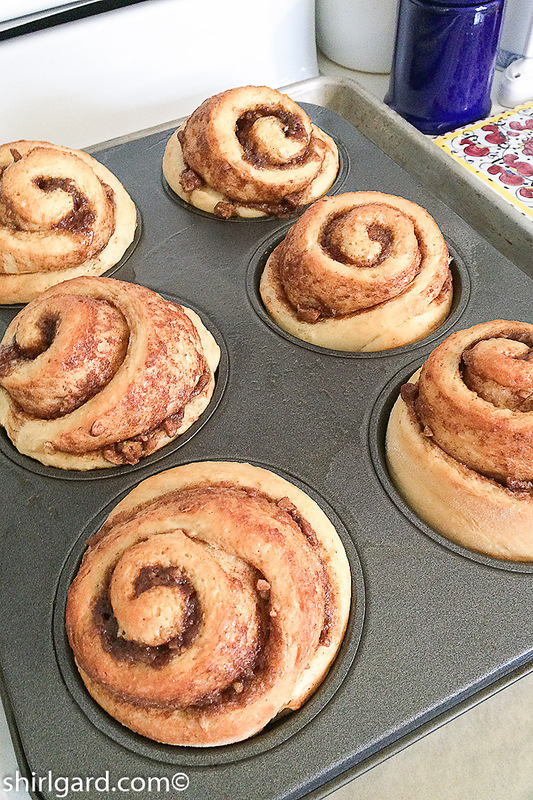 Each recipe yields 12 buns: some to eat now and some to freeze for later. Since I only have two giant muffin pans, I bake one batch the next day after making the dough, and another batch the following day. Combine all ingredients and rub between your hands until evenly mixed to a sandy texture. 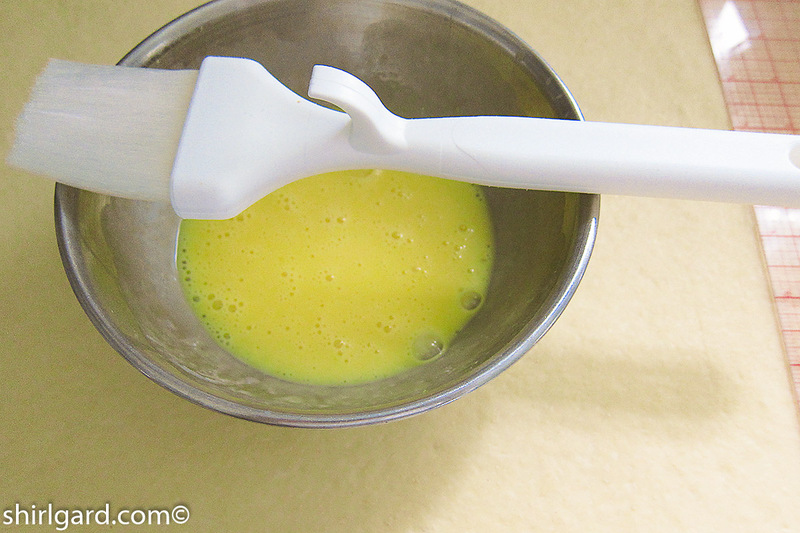 1 egg + 1 yolk + 1 Tablespoon heavy cream (15g) + pinch of salt. Whisk together. Warn the milk, vanilla bean paste, and corn syrup in small sauce pan. Pour into sugar and whisk until smooth. Use on warm buns. PREP two giant muffin pans: spray with Pam (with flour). Do this even if your pans are non-stick. Place the muffin pans on half-sheet pans. REMOVE cold Sally Lunn Basic Dough from the refrigerator and press into an 8" x 8" (20 cm x 20 cm) square block, about 1" thick. 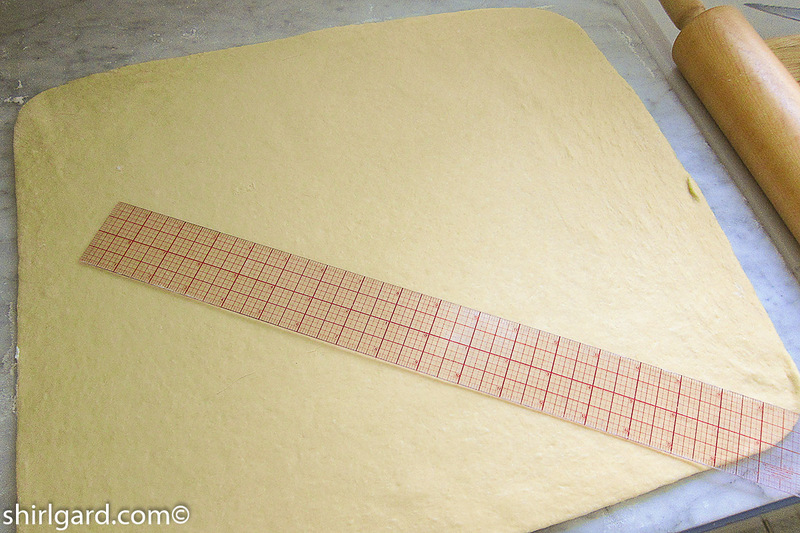 SPRINKLE flour over the counter and roll out dough to an 18" x 18" (45 cm x 45 cm) square. 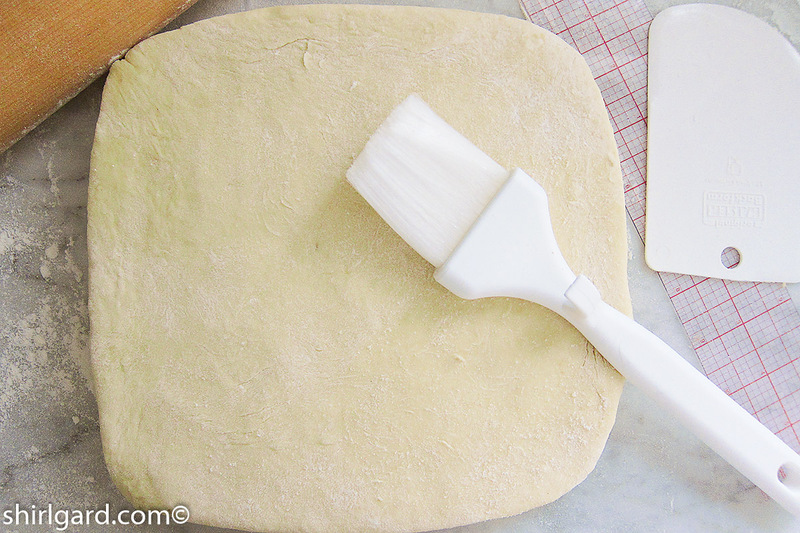 BRUSH egg wash over the dough. 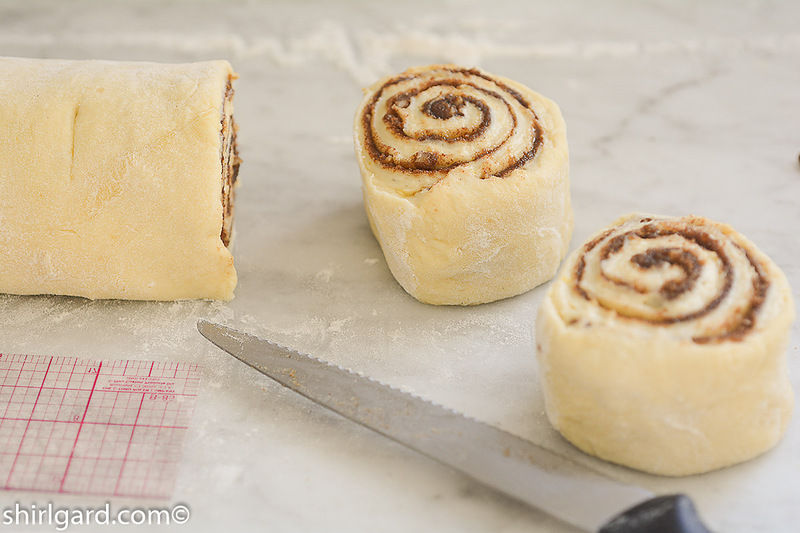 SCATTER the Cinnamon Bun Filling over the egg wash and spread evenly, leaving a ½" border with no filling at the top edge. ROLL UP, rolling away from you, into a log. Seal the edges of the roll at the top where there is no filling. CUT into 12 - 1½" (3.75 cm) slices with a serrated bread knife, using a gentle sawing motion, to prevent crushing the slices. Place slices in muffin pans, cut side up. PROOF (let rise) in a warm place for 45 minutes to 1 hour, covered loosely with plastic wrap (sprayed with Pam), until the buns rise, just barely, above the top of the pans. 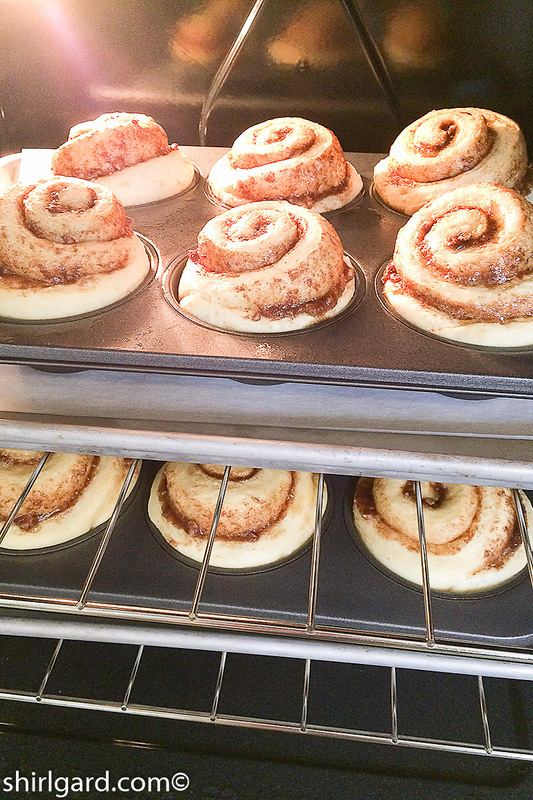 PRE-HEAT the oven to 375° F (190° C) while the buns are proofing. Turn the oven down to 350° F (175° C) when the buns go in the oven. BAKE @ 350° F (175° C) 22 - 25 minutes until golden brown and the internal temperature reaches 205° F (96° C). TO GLAZE THE BUNS: If serving all of the buns right away, spoon Cinnamon Bun Glaze over the buns while on a rack and still slightly warm. 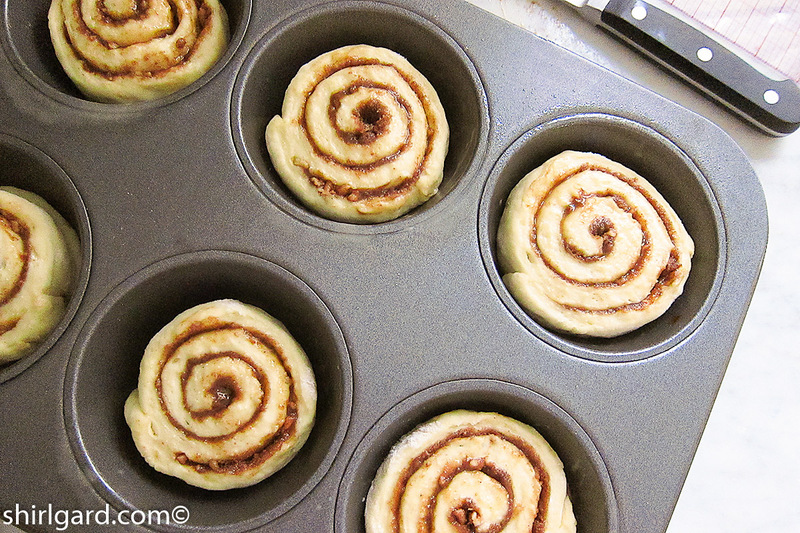 IF FREEZING THE BUNS: Don't glaze now; wait until the buns are thawed and warmed up, then glaze when ready to serve. THINGS TO KNOW ABOUT USING THIS GLAZE: Always apply the glaze right before serving. Drizzle over slightly warm, not hot, buns. The nice thing about this glaze recipe is that you can keep a container of it in the refrigerator or freezer and spoon out as needed; just stir well first. It does not set up hard when cold because there is no butter in the recipe. DO NOT put glazed buns in the oven; this ruins the glaze. 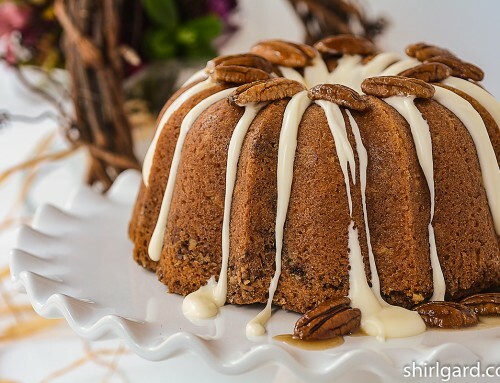 Design of Sally Lunn Cinnamon Buns by Shirl Gard. Sally Lunn Basic Dough adapted from The Fanny Farmer Baking Book by Marion Cunningham (1984). 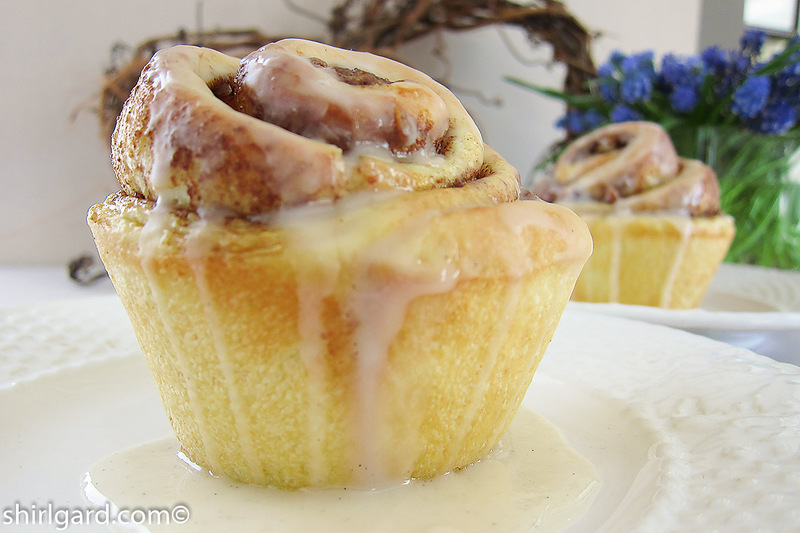 The Cinnamon Bun Filling and Glaze recipes adapted fromCiril Hitz: Baking Artisan Pastries & Breads (2009). I was looking for the Sally Lunn yeast raised coffee cake recipe. Mom used to bake it and I miss it. Are you familiar with it? If so, will you kindly post it on your blog please? Thankyou Shirl. Great blog!, btw. Thank you LoriGail for your question. I love Sally Lunn. 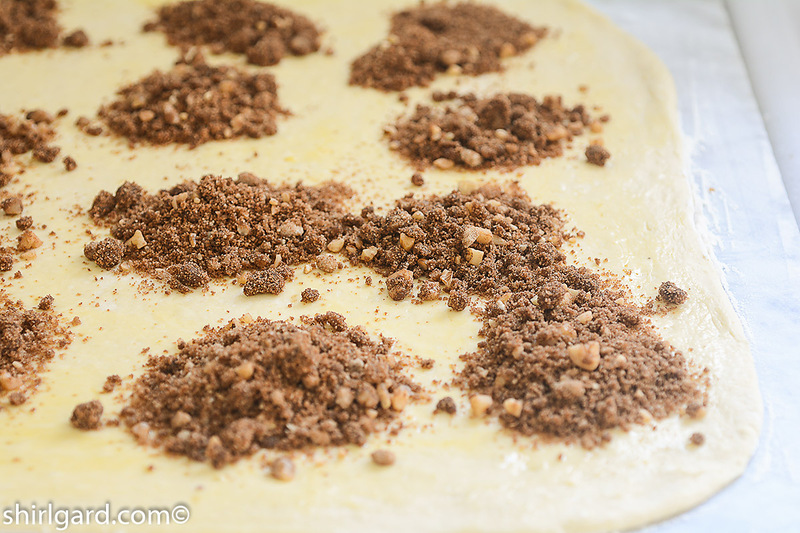 It is a very versatile dough that you can use for many different things, including coffee cake. I have two versions of Sally Lunn on my website; both are the same dough, which is my favorite. 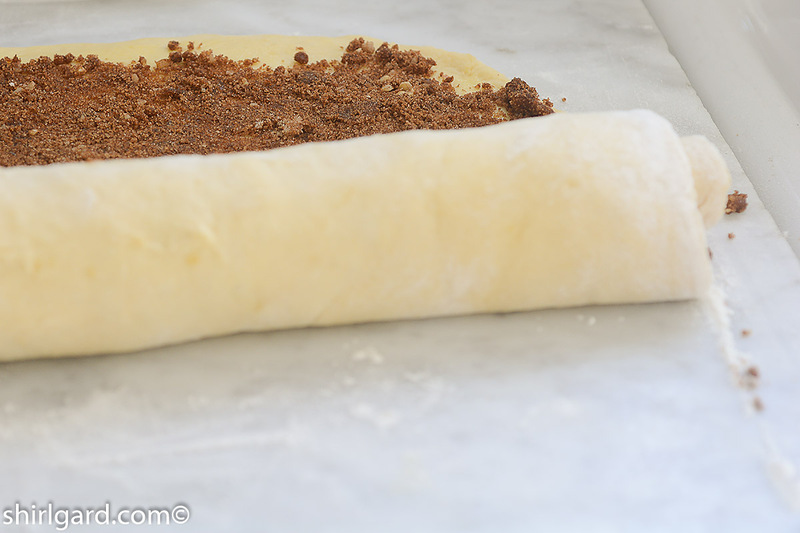 You would be able to take this dough recipe and create a coffee cake in the shape that your mom used to make. 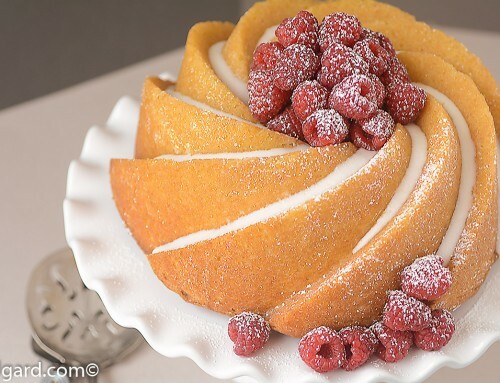 If you have any questions about how to do this, tell me what you remember about the coffee cake and I will help you figure out how to make it.